On top of the hundreds of hours spent collecting, formatting and visualizing data, there are also costs associated with upkeep and any possible advancements. If you feel it, please click below to donate to the project. 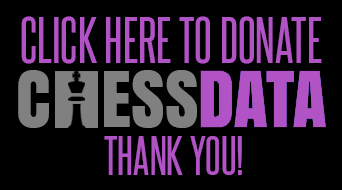 Your donation will also help move along a local chess initiative I have been working on for a few years that involves youth programs and organized league OTB play which we all need as chess players more than ever in the e-sports world.